Working out the best order to take your nebs in can sometimes be confusing. 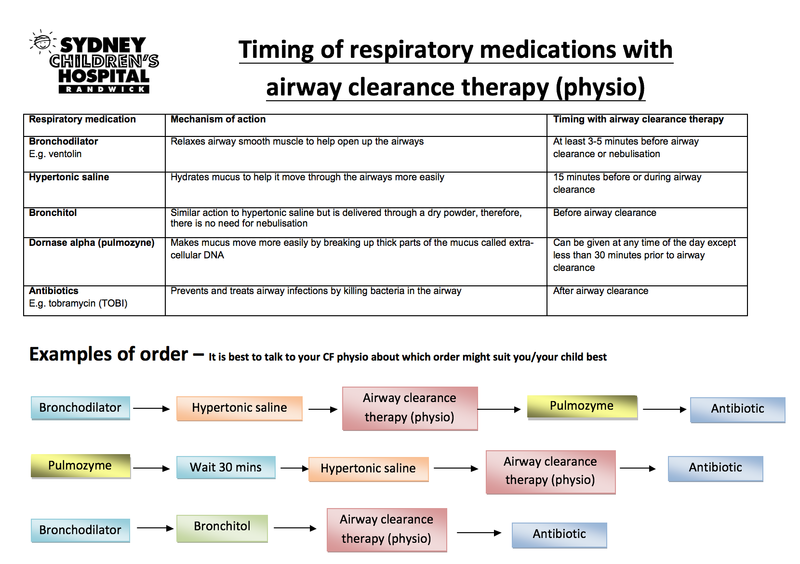 Mike Doumit the CF physio from Sydney Children’s Hospital has put together this schedule to help you understand the best order and timings for the most common CF medications. Remember, you should talk to your CF doctor about which order might suit your child best.